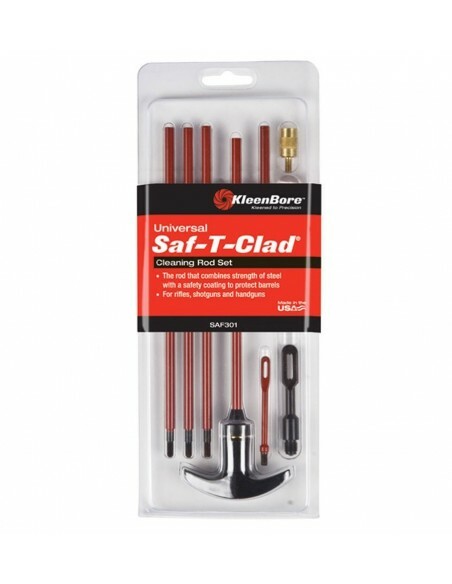 Kleen Bore Universal SaFTClad Cleaning Rod SAF301 can clean out virtually any firearms. 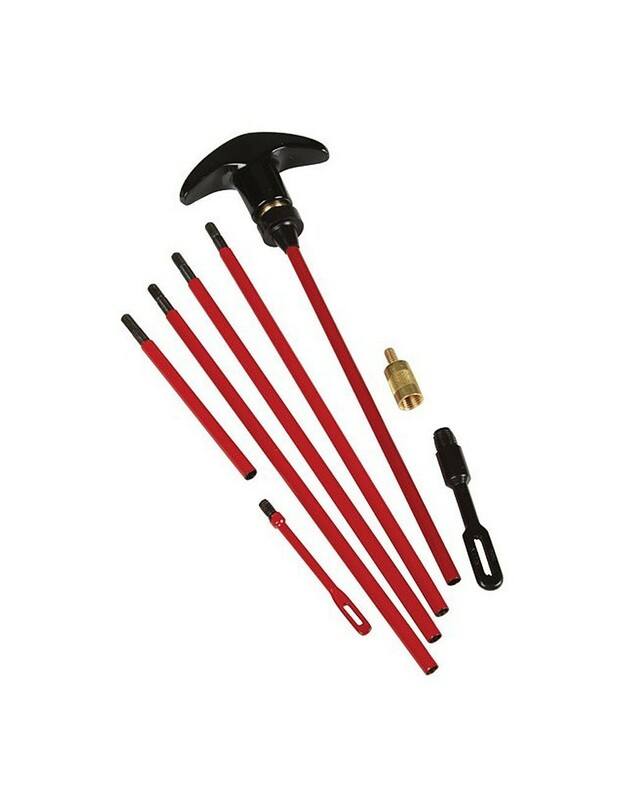 This multi-purpose cleaning kit is a five segment cleaning rod with all the essential pieces to keep your rifle, shotgun, or handgun in perfect working order. A black nylon muzzle guard prevents damage, and you can attach patches of any stripe using the included patch holder adapters. One for rifles and handguns, another for shotguns. 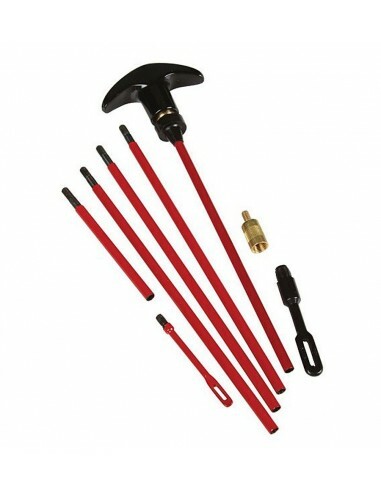 The Kleen Bore SaFTClad Universal Five-Piece Rod, also has a standard #8-36 thread for the attachment of all Kleen Bore accessories. When you're done using the cleaning kit, simply put it away in the reusable clamshell case for the next time. 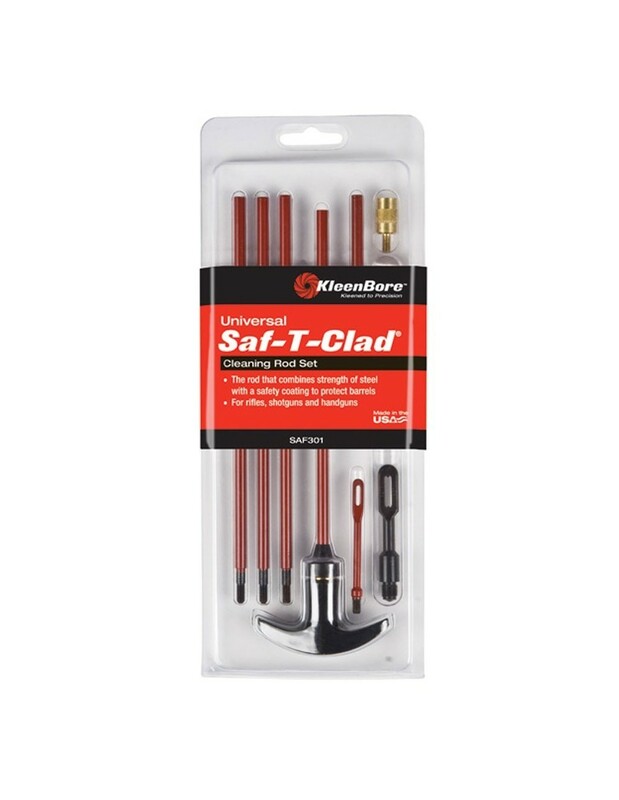 Use the Kleen Bore SaFTClad 30" Universal Cleaning Rod to keep your arsenal firing as smoothly as possible.